Run down the apparitions that float about Rubber City streets and façades like the shadow of a passing blimp. Stroll along forgotten canals amid the restless chatter and clank of spirits cut down before their hard lives became easier. Catch a show at the Civic Theater with a “former” engineer who prophesied that death wouldn’t keep him from work. A more restive spirit is that of John Tedrow, a twenty-something mauled and murdered during a drunken brawl in 1882; he wails for help and resolution. 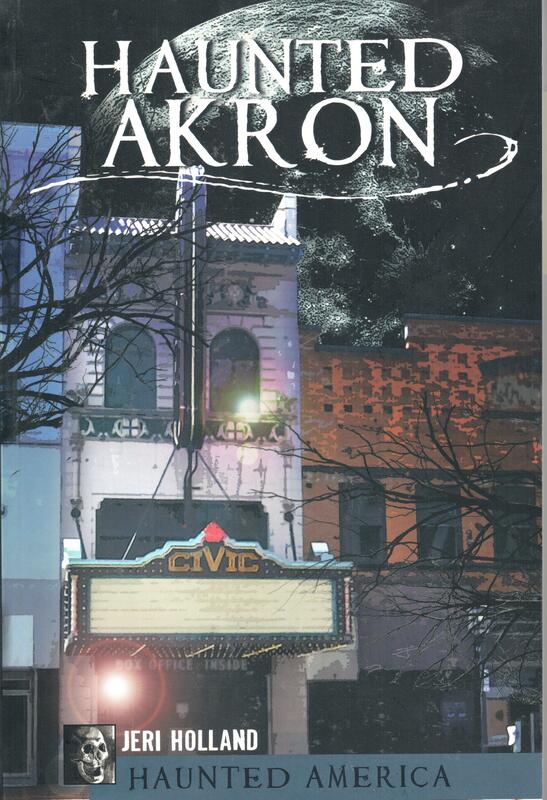 In this ghostly tour through Akron’s haunted and sometimes brutal past, paranormal specialist and historian Jeri Holland digs into the ghost tales and local legends that linger here like this city’s industrial heritage.